Mwana Villages is the story of a simple hope turned to action: helping one child at a time. "Mwana" is the Congolese word for "child," and the commitment to see the beauty and dignity of every life, particularly the lives of the orphaned and vulnerable, is what has both driven and shaped the organization it is today. Read more about our co-founders and their personal experience of heartache to determination. 2010 Following a research trip to Congo to discern areas of most significant need, co-Founders Cheryl (Canadian) and Lambert (Congolese) Laki-Laka along with a small team of board members formed Canada-based nonprofit Mwana Villages. Partnered with local pastor to build Siloé shelter for street children. 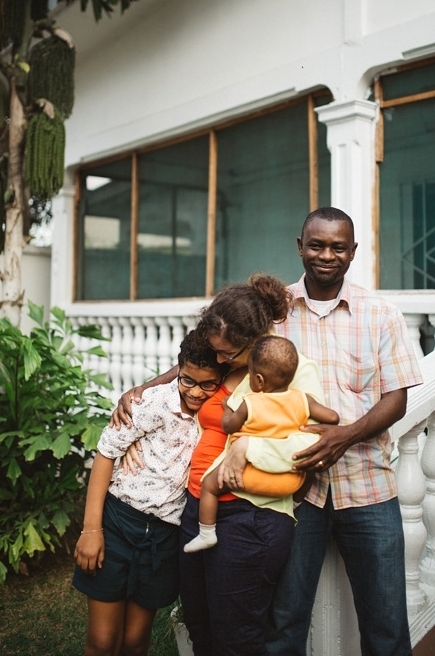 2012 Laki-Laka family moved to Congo with their six children as self-supported missionaries. Mwana Villages began supporting holistically marginalized and vulnerable families in the community. 2015 Mwana registers as a U.S. nonprofit; Mwana engages in groundbreaking discussions with governmental and judicial representatives in Congo to address systemic fraud, child trafficking, and to present best practices for high-standards ethical holistic orphan care. 2016 Ceremony for inaugural site of Mwana Villages in Bouansa, future self-sustaining farm site; Donation of two parcels of land in Nkayi, Congo; Invited to replicate childcare model throughout the country. 2017 Purchased land in Pointe-Noire for our permanent Mwana Refuge and country-wide hub; Five children joined their forever families through adoption; Doubled our number of children and families served from the previous year. 2018 Mwana France officially registered. We welcomed 21 children in six months, primarily from the local hospital NICU.